From the author of The Door, this is a heartwrenching tale about a group of friends and lovers torn apart by the German occupation of Budapest during World War II. In prewar Budapest three families live side by side on gracious Katalin Street, their lives closely intertwined. A game is played by the four children in which Balint, the promising son of the major, invariably chooses Iren Elekes, the headmaster’s dutiful elder daughter, over her younger sister, the scatterbrained Blanka, and little Henriette Held, the daughter of the Jewish dentist. As in The Door and Iza’s Ballad, Magda Szabo conducts a clear-eyed investigation into the ways in which we inflict suffering on those we love. 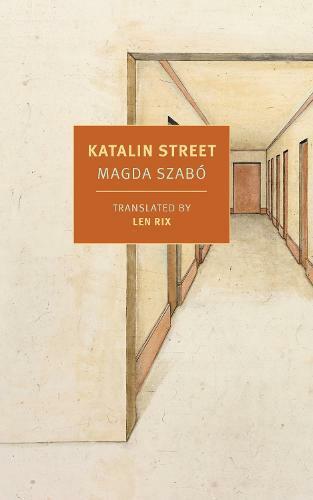 Katalin Street, which won the 2007 Prix Cevennes for Best European novel, is a poignant, somber, at times harrowing novel, but beautifully conceived and truly unforgettable.